CLEANER by Pfarr uses a low-moisture soil-encapsulating solution that is pH neutral, non-toxic, and leaves absolutely no soap residue. We effectively clean, disinfect, and deodorize your carpet every time! Your carpet dries quickly, looks great, and stays clean longer. Our EPA-approved, non-toxic formula is safe for all your family members and pets. 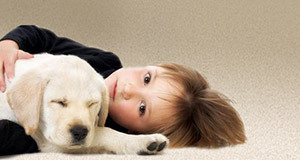 Our low-moisture process only affects the top level of your carpeting and dries quickly. 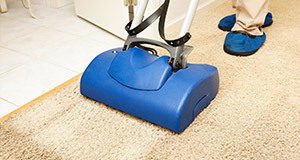 Carpeting or pads that remain wet too long can mildew and activate mold allergens. 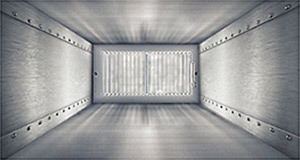 Improve your indoor air quality, and the efficiency of your furnace, with regular air duct cleanings by CLEANER by Pfarr. And don’t forget your dryer vents! Annual cleaning will lessen potential fire hazard, conserve energy and extend the life of your dryer. Protect your environmental health and your investment with dry carpet cleaning, air duct and dryer vent cleaning from CLEANER by Pfarr. Serving residential and commercial customers since 1993, CLEANER by Pfarr uses a soil-encapsulating cleaner that is room temperature, pH neutral, non-toxic, and leaves no soap residue. We effectively clean, disinfect, and deodorize your carpet every time! Your carpet dries quickly, looks great, and stays clean longer in between cleanings. Steve Pfarr, owner of CLEANER by Pfarr has over 20 years of Commercial and Residential dry carpet cleaning experience. He personally brings this experience, personal service and attention to detail to every job. Next time you’re looking to clean your carpets, upholstery or air ducts, give us a call. You’ll be glad you did. We’re pleased to serve commercial and residential clients in Wisconsin, including Walworth, Rock, Kenosha, Racine, and some Milwaukee counties as well as the Northern Illinois counties along the Wisconsin-Illinois stateline area.